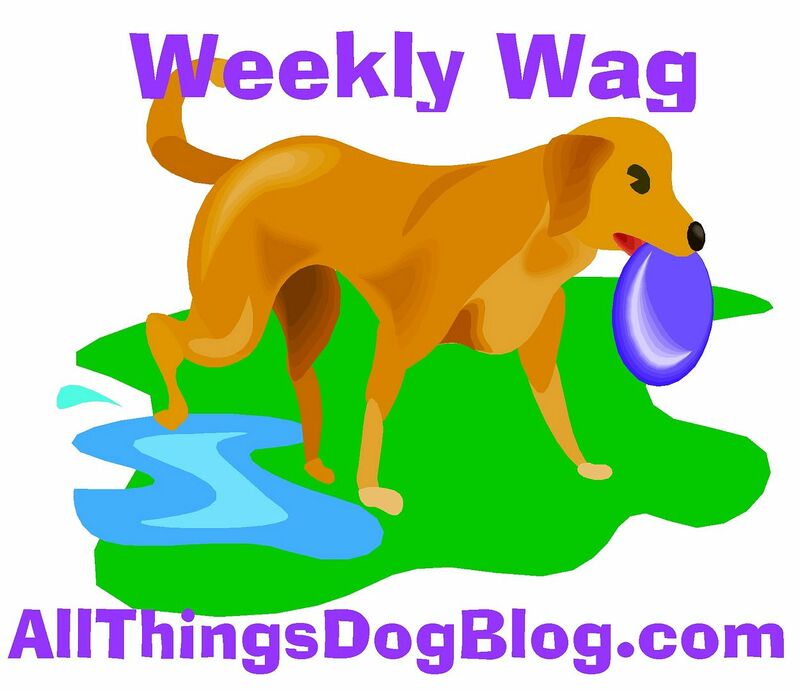 What's the goal of your dog's daily walk? All too many dog owners feel it should be a bathroom break, but I'd like to open the possibilities for Fido to get a bit more out of it than that. Right now while I'm recovering from a leg injury, I need all the change ups I can find--the backpack being my #1 tool. Dogs in the wild walk all day. This is their job, whether it is to get from point A to point B, or to find food or shelter. The truth is these dogs often get more of what they need in life when they are not a pet dog. Sure, we give them 2 squares a day and a warm bed to sleep in. But do we fulfill their other needs? Take Fido with you on errands that don't require leaving him in the car--the bank, drive through restaurants, a pick up pharmacy--whatever works. He'll enjoy the smells, sights and fun of wondering where he's going next. Identify nearby parks and change up the walk by taking a hike through nature. 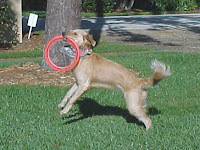 Fido will enjoy seeing something other than your neighborhood cats, even if it is just a squirrel or two. The smells of wild animals will be abundant to him and that will do the trick. He'll snooze peacefully tonight. Take some different turns during your neighborhood walk and find another route. Perhaps there's a street he's never explored. Give the opportunity to experience every possible route that might bring some new sights or scents--even a new friend. 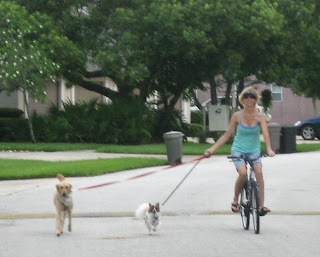 Turn your dog walk into more of hike by allowing Fido to do a job. Placing a dog backpack on him, he can carry your water, house keys or other necessities. What's interesting about this job is that he'll have to concentrate on walking straight and smooth, so as not to get the backpack swaying like a mother's full teats. It's a whole new experience that will have your dog concentrating on his walk, and at the same time, return fatigued and ready to rest. Got a boat? Grab a helper who can hold Fido securely, and take him along. Don't forget the canine lifejacket to be on the safe side. If he's a bit skittish about this new transportation, keep in mind that he'll soak up your energy. Ignore his nerves and offer him tons of confidence, acting as if this is nothing out of the ordinary. He'll pick up on your vibes quicker than you think. How about a bike adventure? Running beside a biker is a terrific mental challenge for your dog, as he learns to follow your lead and watch the turns carefully. He will instinctively know he must remain clear of the wheels, yet follow your confident tone as you tell him he's a good boy. Be sure to hold on to the leash loop lightly, just in case Fido darts at a squirrel or neighbor for a quick hello. We don't want YOU to go flying! Check out this link for some tips on getting started. If you're into running or jogging, Fido will be right there at your side. 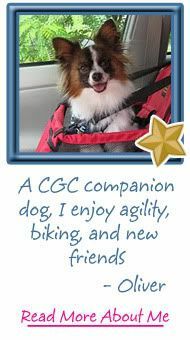 He'll enjoy the camaraderie and unless he is a senior Fido, will generally be able to match your pace, as long as you're not a marathon runner! 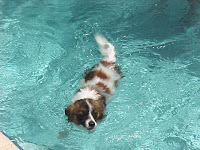 Don't neglect some of the quickie ways to fortify your dog's exercise--both mental and physical--with swimming, fetch games and Frisbee or ball games. 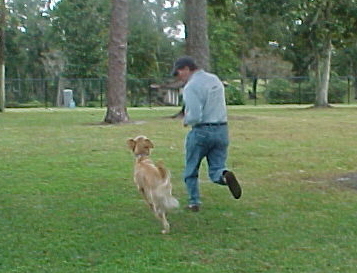 All require physical sprints and plenty of problem-solving to keep Fido's mind active while he plays. Dog friendly beaches are an interesting new place to take a walk or run. Fido will find a plethora of new scents and sights, while trying to figure out what's up with the water coming and going. This is a great way to stimulate his mind, and you can be sure he'll sleep the whole way home, satisfied from a day of stimulation, fresh air and exercise. 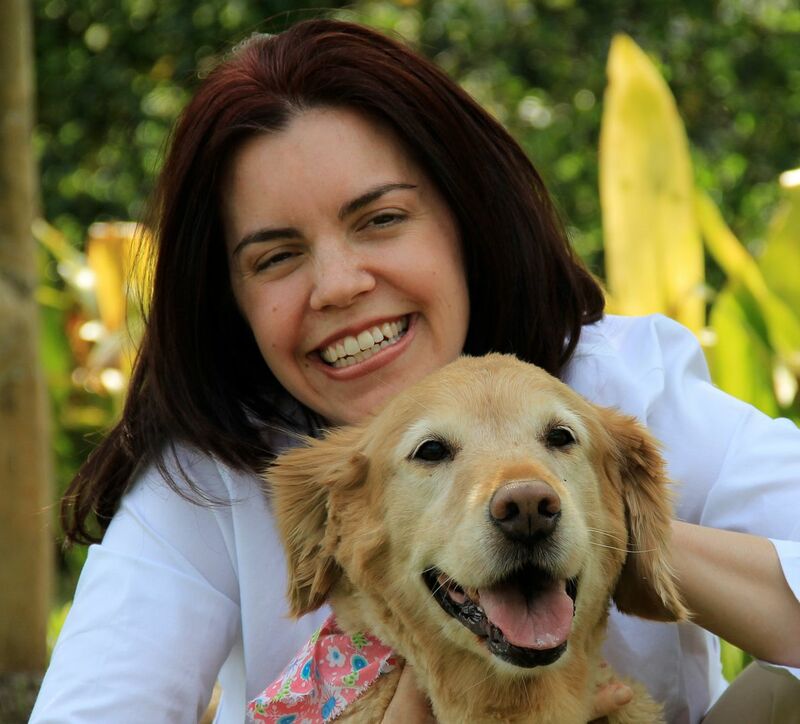 I hope I have gotten you thinking about ways to give your dog a new experience during your outings. Each one will enrich his life, improve his rest, and make him a calmer house mate. Ironically, it will probably do the same for you. That's always a good reason to change it up a bit! Don't miss Tanner's take on the backpack idea. 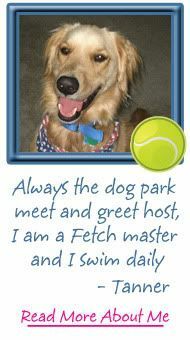 He's got a few comments over at 5 Minutes for Fido, where Tanner and Oliver have their own blog. Yup! Sure enough. Thanks to the hop hosts, Life With Dogs, Two Little Cavaliers, and Confessions of the Plume. 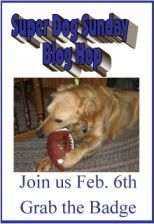 Hope to see you ALL at the our first annual Super Dog Sunday Photo Blog Hop on Sunday. 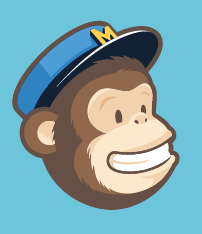 Check my help page for more information, and grab the badge code at the top of my sidebar. See you tomorrow! You are so right! I go crazy when I see people talking on their cell phones while walking their dogs and pulling them away from every good scent. And I'm glad you mentioned boating. 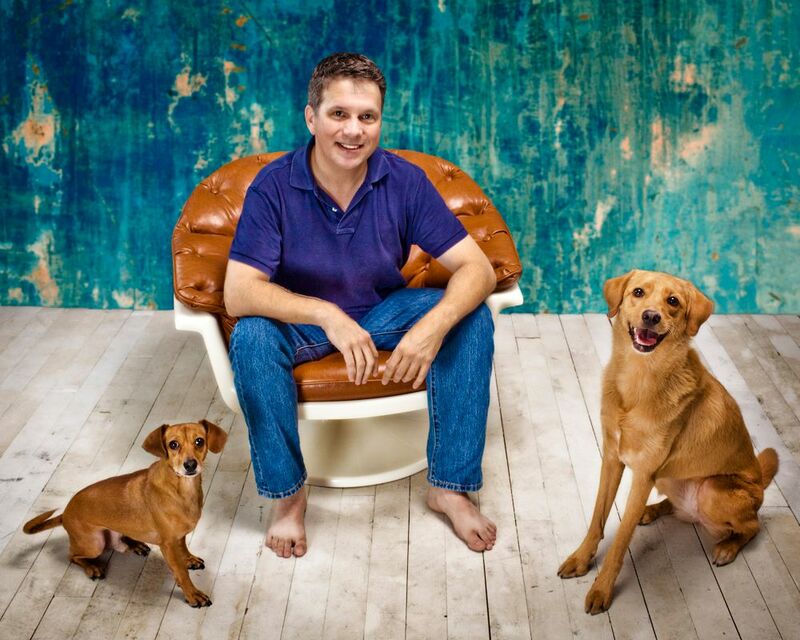 I've always enjoyed kayaking and canoeing with my dogs. I'll add one suggestion if your dog is trustworthy off lease--play hide and seek. I'll wait until Honey's not paying attention and duck behind a tree. It's a great way to strengthen your recall by making your dog work to keep track of you. Pamela--I LOVE the suggestion about hiding to work on your recall. Brilliant! I'll have to try that in our yard or at the dog park as our leash laws are tightly enforced here. But what a fab concept. Thanks for sharing! I've always played the hide and seek game with my dogs. Not only does it strengthen recall but it teaches them to keep one eye on you and not get too far away. Sometimes I call or use my whistle, others I simply hide and wait for the dog to miss me and come looking. To find me he has to scent me or track me if I'm well hidden. It is a game to play in a safe area. You don't want your dog to feel lost in a strange area or run to where you parked your car...which some dogs instinctively do when they feel lost in a strange place. I love the "find me" game for my yard or house. People in my town have been working to establish a local off-leash dog park where more dogs will be able to try it out. The park passed the city council and we'll soon begin work on the property! 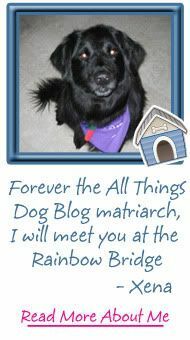 If any readers are in Kirkland, WA, go to Kdog.org and join the fun. It's for the dogs!